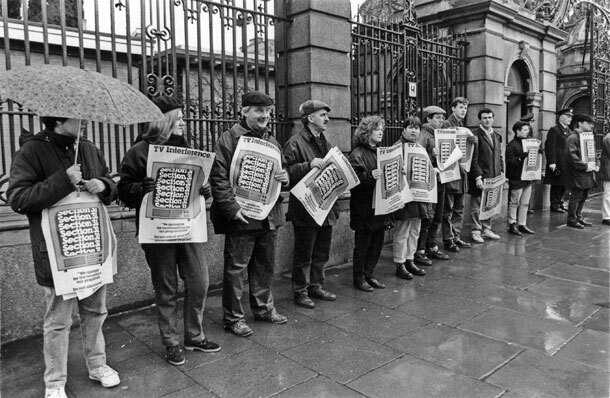 IN JANUARY 1994, the armed conflict in the Six Counties was at a critical stage. The previous year had seen the deaths of 84 people in the war and, while there was some political movement, it was by no means clear that a peace process could be put in place to end the armed conflict and to address its root causes. The dialogue between Sinn Féin leader Gerry Adams and SDLP leader John Hume was the crucial factor that changed everything. 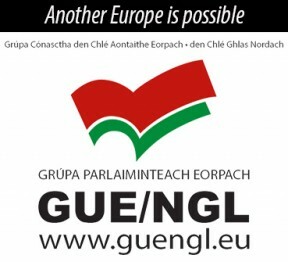 That dialogue increasingly set the political agenda in 1993 despite the vitriolic political attacks on both men, especially from the political establishment in the 26 Counties who saw John Hume’s role as a betrayal of their strategy, pursued over many years, of attempting to demonise and isolate Irish republicans. A key element in that strategy was widespread Government censorship of the broadcasting media. 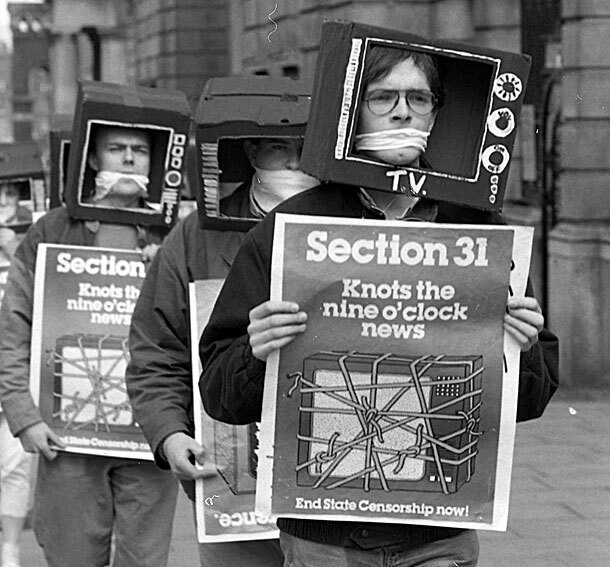 Since 1971, successive Dublin governments had used Section 31 of the Broadcasting Act 1960 to bar republicans from the airwaves. At first set in fairly vague terms, the restrictions were tightened in 1976 by Labour Party Minister for Posts and Telegraphs Conor Cruise O’Brien to specifically ban Sinn Féin. O’Brien’s successors renewed the order under Section 31 annually, ensuring that people in the 26 Counties received a totally one-sided view of the war in the North and of its consequences for the whole of Ireland. Ironically, it was another Labour Party Minister with responsibility for broadcasting, Michael D. Higgins, now Uachtarán na hÉireann, who was to lift the ban. The Fianna Fáil/Labour Government took office in 1992 and Higgins, who was appointed to the Cabinet, had expressed his opposition to Section 31. With the development of the Hume/Adams dialogue and the early beginnings of the Peace Process, Higgins decided not to renew the Section 31 ban and he announced this on 11 January 1994. The ban lapsed on 19 January and the broadcast media in the 26 Counties were free to interview Sinn Féin spokespeople. The first such interview was with Gerry Adams on Dublin’s 98fm radio station. A second major element in the attempted suppression of the republican message was what became known as ‘censorship by visa denial’. Successive United States administrations had refused visas for Sinn Féin spokespeople to visit and speak in the USA. In 1992, in the run-up to the Presidential election, candidate Bill Clinton had pledged that he would support the granting of a visa to Gerry Adams. Clinton, who went on to win the presidential election, also supported the MacBride Principles of Fair Employment and the appointment of a US Peace Envoy to Ireland. 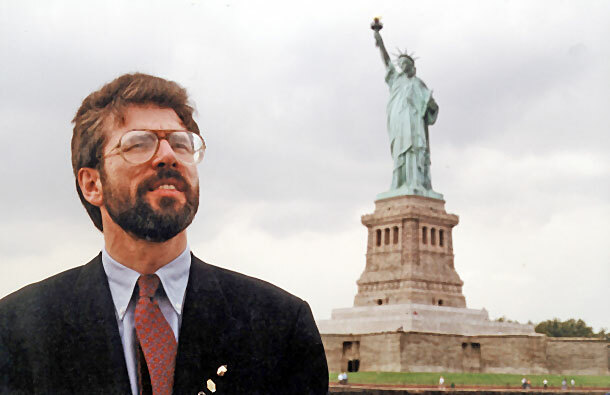 On 14 January 1994, Gerry Adams applied for a US visa to visit New York for a conference on peace in Ireland. His application was supported by the US Ambassador to Ireland, Jean Kennedy Smith, a Clinton appointee. The British Government immediately began an intense political and media lobbying campaign in Washington against the granting of the visa. Clinton’s Secretary of State, Warren Christopher, and Attorney General Janet Reno were against the visa but on 29 January it was granted by President Clinton. Gerry Adams travelled to New York on 30 January on a two-day visa to attend a conference at which John Hume also spoke, to meet Irish-American supporters and to speak to the media in broadcasts that went coast to coast across the USA. British and unionist reaction was furious with Ulster Unionist Party MP Ken Maginnis saying that, in future, “deaths in Northern Ireland will be Clinton deaths”. Unionists turned down the invitation to attend the New York peace conference because of the presence of Gerry Adams. Within the space of ten days, two major elements of anti-republican censorship – Section 31 of the Broadcasting Act and US visa denial – were broken in January 1994, 20 years ago this month.